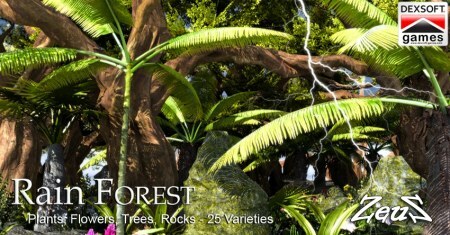 iClone Props Pack - Rainforest - Beautiful and varied plants to create your Rainforest Environment. Description: Beautiful and varied plants to create your Rainforest Environment. Pack consists of Leafy Plants, Flowers, Palm like plants, and trees, plus some rocks to complete the scene. Thank you so much. Now you are talking. Thank you. Thanks to you, Dear ZeuS!